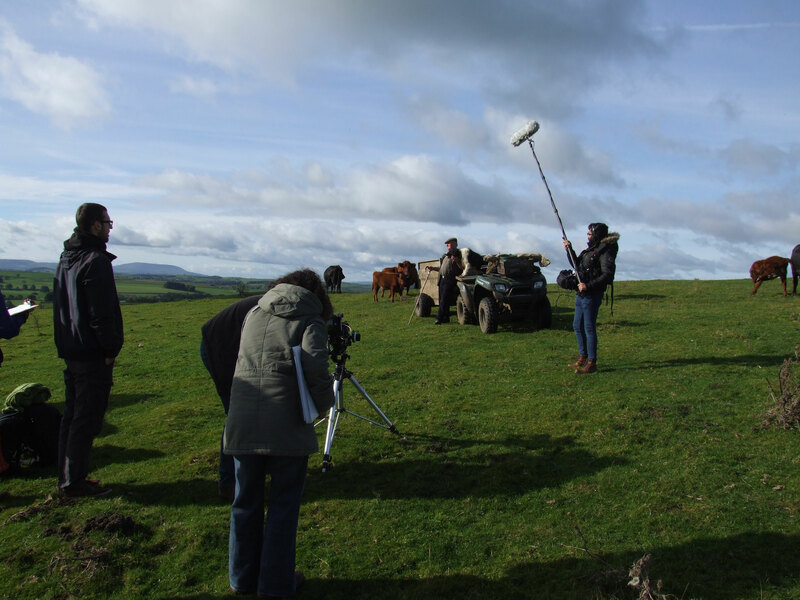 As ‘Francis of Fell End Farm’ is now going through post-production, I think back over the past year since I decided to film the script. I knew that my script presented challenges to anyone interested in filming it: Find a suitable farm location, an actor who could work with a collie - or a farmer able to work with a collie and act well enough - and a collie who would not experience ‘film fright’ when confronted by a team of people and their equipment. As the judges for the competition said, they expected that it would be adapted. I experienced self-doubt when contemplating filming it myself: ‘I’m not good enough’, ‘I’m inexperienced’, ‘I don’t have enough money’, ‘No one will be involved for expenses’ – and so it continued. But what I didn’t want, and which was a stronger pull than doubts I had, was for no one to have filmed ‘Francis….’ by the end of the filming stage of ‘The Impact’. I had to, and wanted to, try to film it. What experience did I have as a filmmaker? Not much; a film that I persuaded family members to help me make some years ago and a short film I made with my son in the garden. I was mulling over my options at the beginning of 2017 while I was watching ‘Our Dancing Town’, which is a BBC documentary in which a choreographer, Steve Elias, visited Yorkshire towns to try to encourage the community to become involved in a community dance project. It was then that I saw Amos Dewhurst, who plays ‘Francis’. 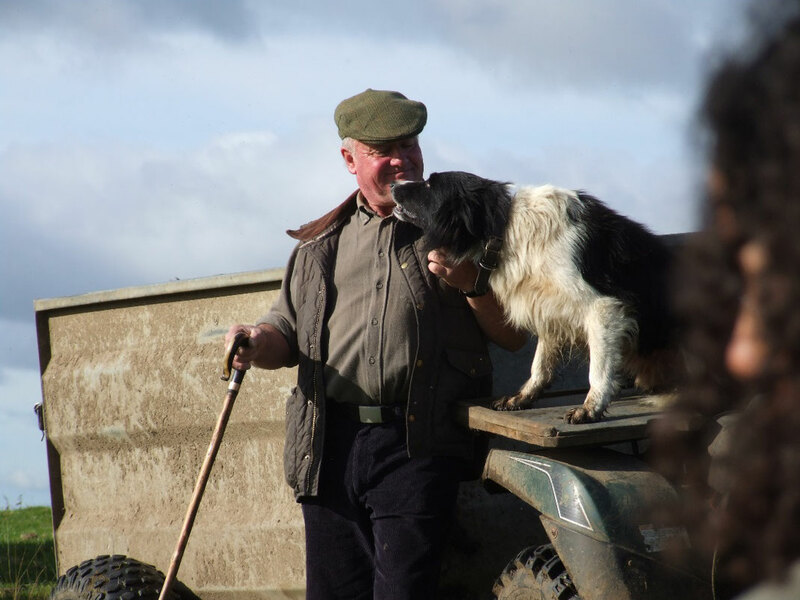 He was, I thought, an expressive, engaging man with lovely energy, and a farmer who worked with collies. It was a ‘light bulb’ moment for me, and I believe I said, ‘Francis! He could play Francis.’ Then my mind raced with thoughts of finding him and asking him if he’d be willing to be involved in the film. I managed to track him down and made initial contact with him. Meanwhile, I contacted Hugh Mann Adamson, of Let There Be Light Productions, Sheffield. I had met him some years earlier and he had impressed me with his attitude and drive, having started his company ‘with an idea, a borrowed camera and a little blue box (our first office).’ We arranged to have a chat, and he gave me advice about the process involved in making a film; I talked about the script, my ideas for filming it, etc. By the end of the meeting he said that if I managed to get Amos involved, and secure the location, he would produce for me. ‘Are you sure?’ I remember saying, not quite believing what I was hearing. Hugh along with Gabriel, his colleague, started the initial development work from their office. While I felt confident that I could meet Amos and talk to him about the film, locate props – it took some work to find a prop shotgun, I can tell you! - I would be able to do the producer work that Hugh has done during the process. Hugh talked about his team, whom he often worked with on other fictional and commercial productions, and asked would I be prepared to pay a reduced fee if they agreed to come on board. My answer was, of course, “yes “. 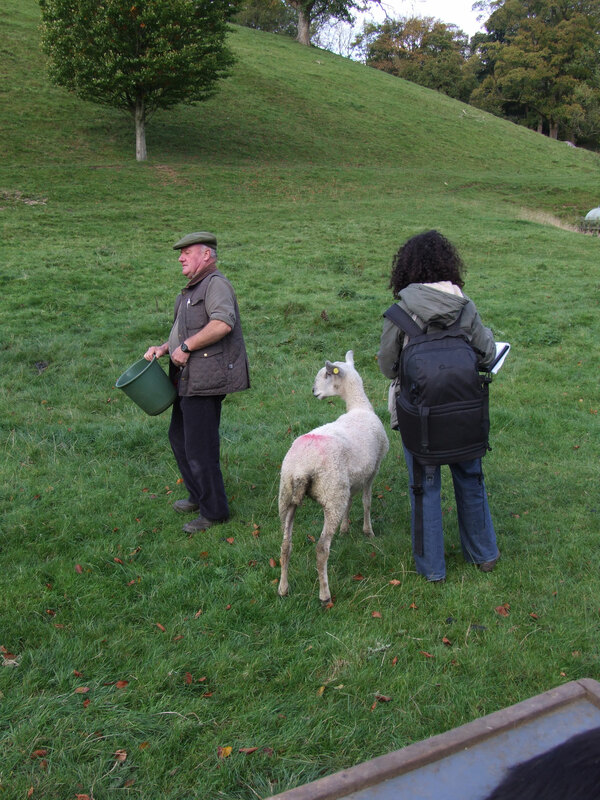 After I had seen Hugh, I visited Amos, and by the end of our meeting - and he had been mulling over it during lambing before I went to see him - he said he would be involved. 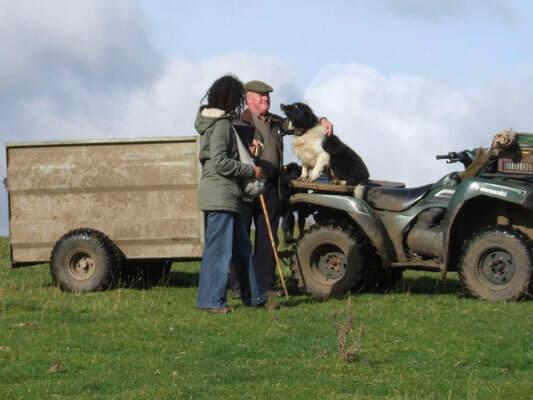 It was lovely riding around on his quad bike on his farm, hurling me right back to my childhood on farms - although the ride was on a tractor/trailer or Landrover back then; taking photographs and auditioning two of his dogs. I then wrote a pitch for Hugh about ‘The Impact’ film, my script, and the opportunities for others who might become involved – how they might benefit from being involved - so that he could send it to the professionals he worked closely with and to hopefully bring them on-board for a reduced fee or an expenses arrangement. 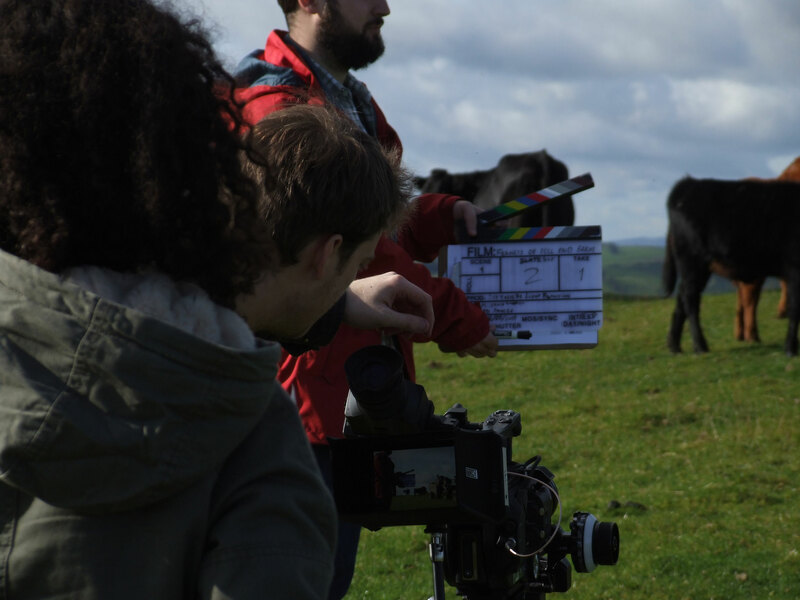 This was sent on to Ed Swales, Director of Photography, and Waqar Shah, Sound. A short time passed, and then Hugh contacted me to tell me that they had agreed to be involved. Hugh’s fellow producer Gabriel was an award winning fictional director in his own right and was on set to guide the production. Also joining the team was LTBL Productions former intern Joe Brashaw and a new member of their team Aidan Joesph as production assistant. And composer Jay Fisher is currently composing the music for the film. 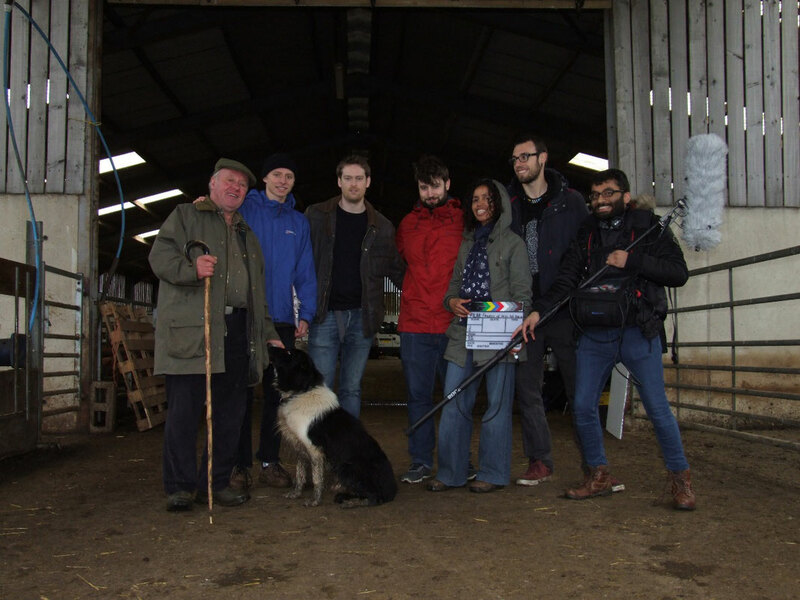 Even though it has been hard - but enjoyable – work juggling work/family/other writing projects with the practicalities of bringing the film to life, Hugh, Gabriel, Ed, Waqar, and the team have been supportive, and it has been a team endeavour. My family have also been supportive (and excited). So what advice could I give to another writer who hasn’t had a short script filmed, or who is tentatively considering having a go at directing? Go for it! It is challenging, but very rewarding. You won’t know if it’s something you can do until you try it. Don’t wait for others to film one of your scripts. You could be waiting a very long time – or it might never happen - and it would be a shame not to see something brought to life which you’ve imagined and written on the page. 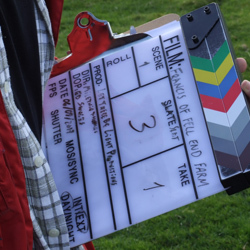 The screenplay you’ve spent hours toiling over, which your family and peers said was beautiful, becomes another beast in pre-production while planning your film shoot with your Director of Photography. Storyboarding. Shot lists. Feasibility of some of the original ideas. Changes. Had I fully considered when writing the script, the challenges, for example, of exterior shots? No. When Ed talked with me about it, did I understand some of the challenges – yes. A Director of Photography like Ed is invaluable. Exterior shots can be/are challenging – changing light/inclement weather, etc. 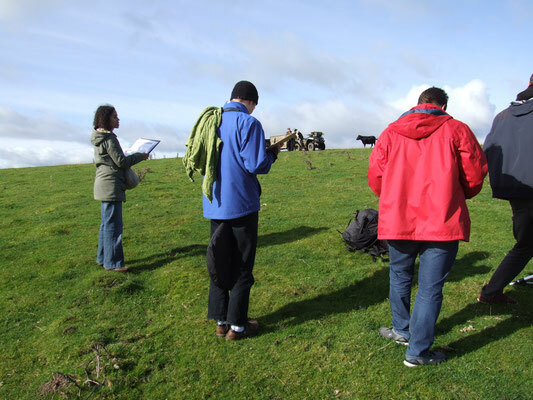 Ed asked me if I could make changes to the script in a way that would lessen the amount of time that we filmed outside, bearing in mind whims of weather. On a recce, we discovered the potential in a huge shed, the entrance of which framed Amos (Francis) and Gwyn (Moss) nicely, while behind could be seen some of the environment. I wrote another version of the script which removed most of the outside shots. What can you and the team achieve with the resources you have? Some script changes might happen because of this. It isn’t always necessarily clear until it comes to shooting the film that something might not work. As an example, I had wanted a farewell moment between Francis and a hen. Unfortunately, the hens weren’t performing hens. Amos, playing Francis, suggested the cockerel. He wasn’t interested, either, and spurred Amos - but nothing Amos hadn’t experienced before, he said. Rather than waste precious time, we decided to abandon trying to get this shot. 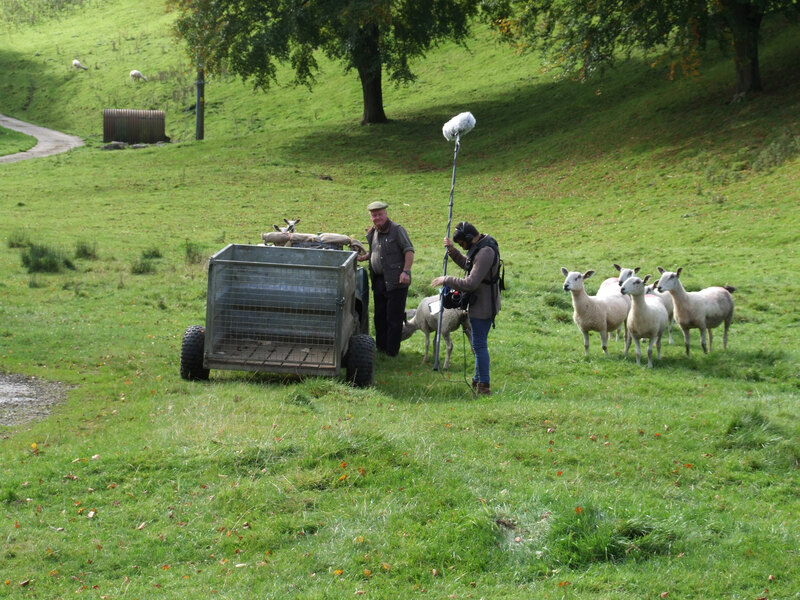 However, the sheep were lovely to work with, so we filmed them. What is the heart of your story? Yes. You might have some wonderful and visual moments in the script, but if you’re limited for time and have to make some serious decisions about what needs to be cut, can something be removed without really impacting on the story? You have to think on your feet if something doesn’t work out on the day. Be flexible. Even if people have agreed to be involved on an expenses arrangement, you still need to have plenty of funds set aside for equipment hire, Airbnb, plenty of food and drink, van hire to take crew and equipment to the location, etc. You will be spending money. I love cooking and baking, and did a lot of this, and I think I am Wonder Woman sometimes, which Chris Jones will appreciate, but even Wonder Woman needs to let others help. I was so thankful for the food that was delivered by a catering company as we wrapped filming. Piglets are noisy and cause a mass riot while you work. When you take them to another location, they find their way back. 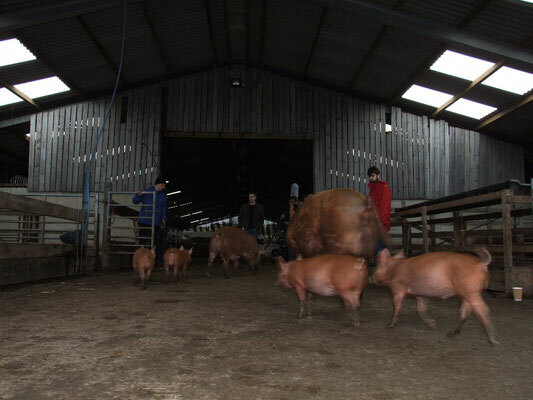 Piglets make a lot of noise when it’s feeding time (as does their mam). So, as a writer I’ve stepped out of my normally isolated writer’s world to grasp the wonderful opportunity afforded by Create50 and direct my script. I would be lying if I said I wasn’t a little nervous about other people’s reactions, but I have learnt so much more by doing, making a film, than if I’d sat at home with fingers crossed, hoping that someone else would make it for me. I am proud of what we’ve achieved. I have been blessed by wonderful support from Team Francis – a small but determined team, I can’t thank them all enough. And I am contemplating my next short film. Well done Milethia. Fantastic to read how your journey unfolded and can't wait to see the film. It's a wonderful script. Thank you, Ben. It's been a great learning curve for me.